We’ve been wanting to go to the pumpkin patch, but the weather is still pretty crummy outside. 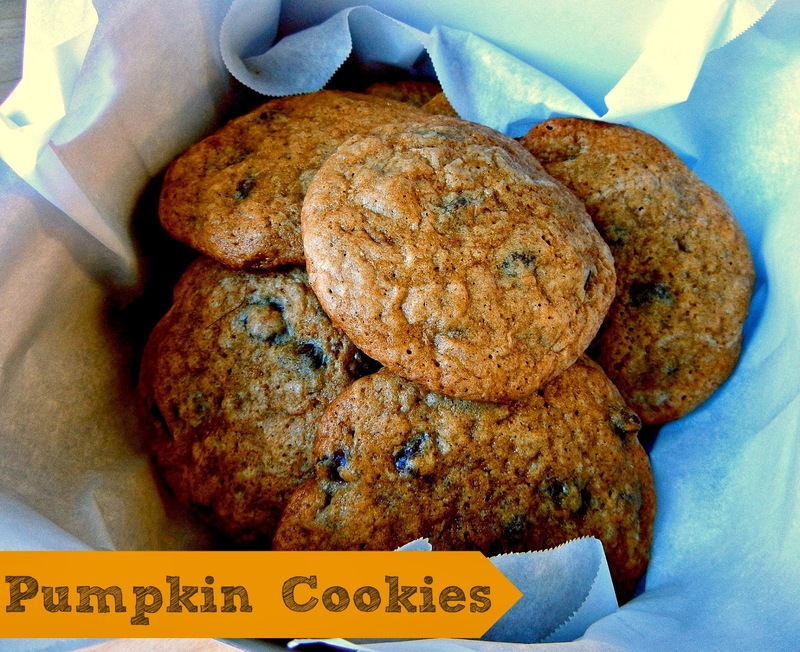 So good thing you can make these tasty cookies regardless! Though we’re inside I’ve been quite productive and even put up new things in the shop (woot woot!). So if you’ve been able to go to the pumpkin patch, please remember us while we wait out the rain… and make use of your stash this weekend. These really are delicious. Mix the flour, salt, cornstarch, pumpkin pie spice and baking soda in a bowl and set aside. In another bowl, mix the melted butter (make sure its cooled) and sugars until they are combined. Add the egg, egg yolk, and vanilla and stir until mixed. Stir in pumpkin puree until smooth. Gradually add flour mixture and mix until a dough forms – it will look crumbly at first, but it will come together. Fold chocolate chips and chunks. Refrigerate dough for 30 minutes, then roll into golfball-sized balls. Bake for 9-10 minutes, then let cool completely.